Did you know how the military protects the environment? The U.S. Military prides itself on serving our country in all situations, foreign and domestic. The Military coordinates with government agencies to issue out destruction to the enemies of freedom, but it also focuses on preserving this beautiful land of ours. Researchers routinely find rare or endangered species of plants and animals on bases because of the way we preserve training areas. In April, 2018, Col. Michael Scalise, Deputy Commander of MCI East, Camp Lejeune, met with Representative Walter Jones to plant Longleaf Pine Seedlings at Stones Creek Game Land. 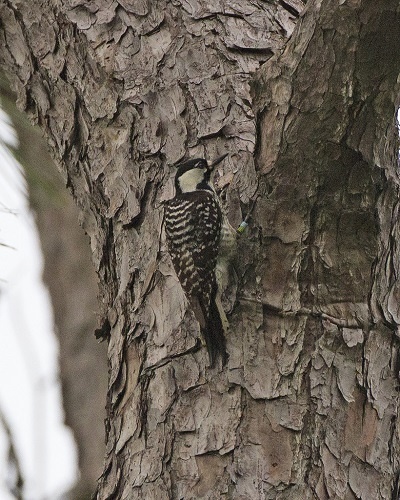 The Longleaf tree is a favorite of the red-cockaded woodpecker, a species that has made nests under the protection of the Marine Corps for generations. Camp Lejeune shares land with a nature preserve that further protects the woodpecker and other endangered species alike. The ceremony of planting new trees was the culmination of state and federal conservation agencies, such as the Red-Cockaded Woodpecker Recovery and Sustainment Program partnership (RASP), to encourage the species to relocate their nesting grounds off ranges and onto safer areas. Training schedules are adjusted regularly to accommodate the woodpeckers’ preservation. They are the first line of defense against oil spills that threaten the health of our citizens and wildlife. Coast Guardsmen are the first responders in the event of a hazardous substance release polluting our waters on a very real, catastrophic scale. Coasties are the stewards of our oceans, the most precious of national treasures, and risk their lives in the name of public health, national security, and U.S. economic interests. 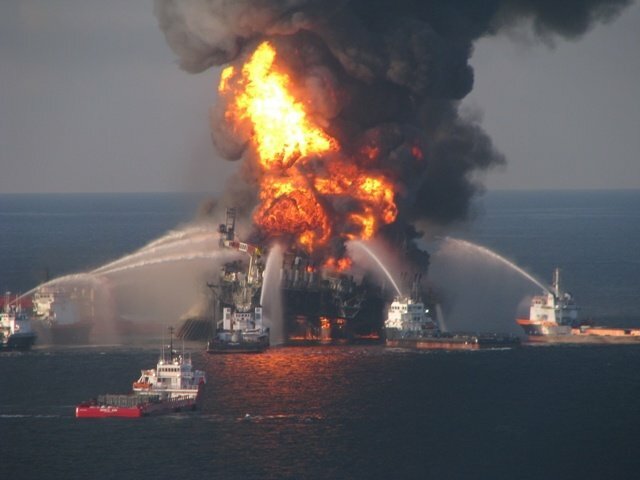 The Coast Guard battles the Deepwater Horizon oil spill. Across many Army Installations, a variety of endangered butterflies would rather take their chances living on artillery impact areas due to habitat destruction. Species such as the St. Francis Satyr need disturbance to keep their populations at a thriving level. The fires set by explosions burn across forests and wetlands that benefit the frail little ones. Even if an impact kills some butterflies, even more are able to take their place. At least three of the world’s rarest butterflies have found safety among the howitzer shells of Fort Bragg, NC. The Army partners with biologists to retrieve females and relocate them to a greenhouse the Army built. The butterflies are bred and released into new areas for the population to continue to grow. Biologists and the Army recreate zones that resemble the impact areas to ensure the population won’t have to resort to living amongst unexploded ordinance. Other species, such as the one in the video below, also call Army bases home. The Air Force has a division that specializes in Restoration Systems and Strategies. Their mission is to promote efficient and effective restoration of contaminated sites. They provide expertise on clean-up exit strategies and implementation of effective remediation using science and engineering. They ensure that the Air Force keeps up with their environmental responsibilities and tracks progress to prevent adverse long-term effects of training. Performance-based remediation has become the standard for the Environmental Restoration Technical Support Branch that keeps the homes of wildlife clean. The Navy has a program called Marine Species Research and Monitoring and has invested over $300 million dollars to better understand marine species and the location of important habitat areas. Civilian researchers have access to the Navy’s data about the migratory patterns of whales, sea turtles, and birds that can aid them when their work is peer-reviewed. The benefit is mutually beneficial because the published works can then be used by the Navy to develop tools to better estimate the potential effects of underwater sound. 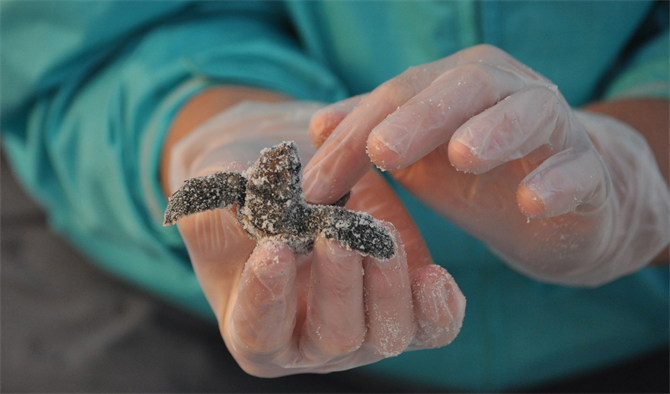 The program empowers scientists with research they otherwise would never have had access to independently, and the Navy can safeguard marine protected species.